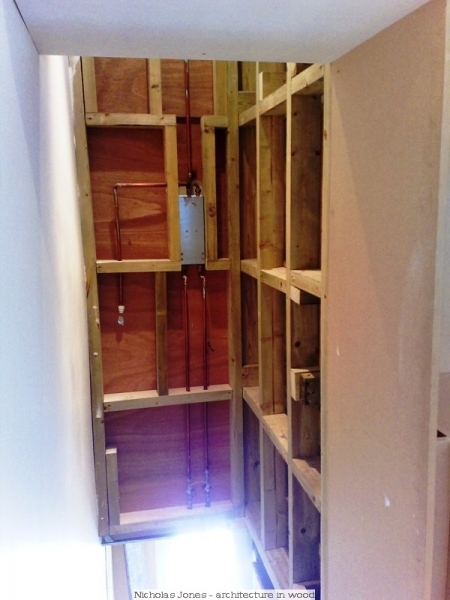 "This stage of the project was to create what looked like a straight forward run of wardrobes but actually incorporated the access for the master bedroom on the floor above. 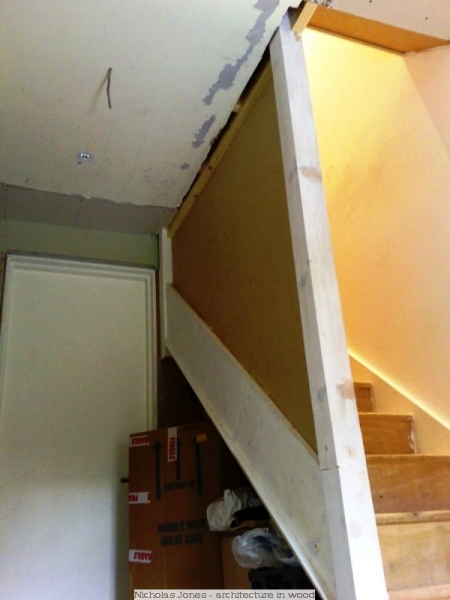 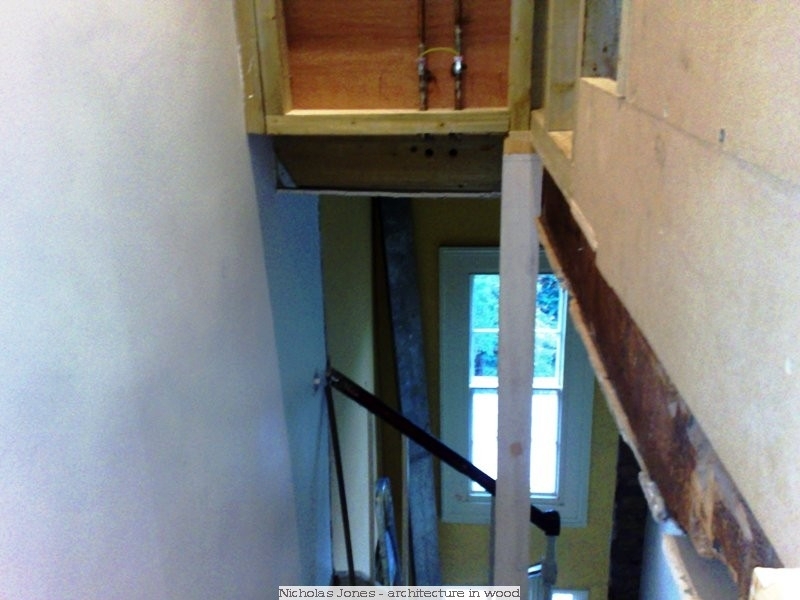 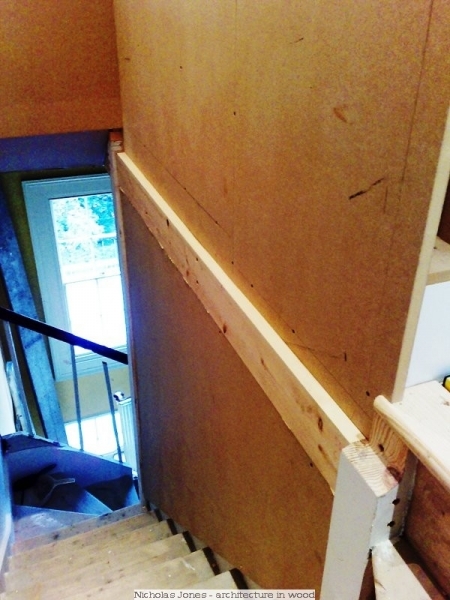 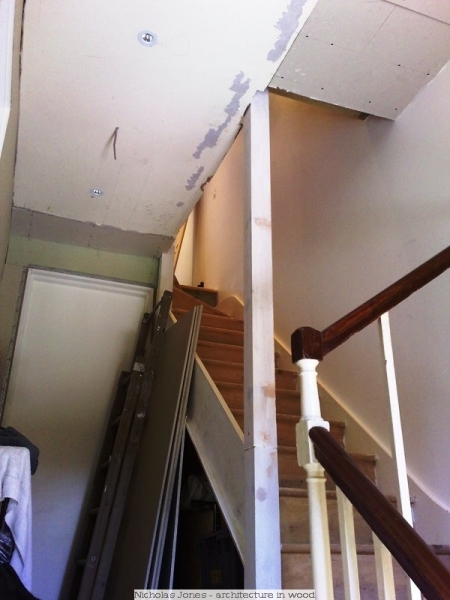 One walked through the end wardrobe door and climbed a staircase to the bedroom above. 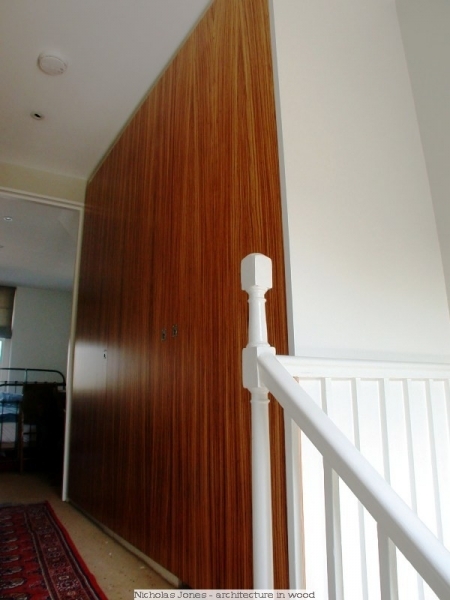 The book matched Zebrano veneered doors were hung on architectural quality piano hinges and opened via flush ring pull knobs."